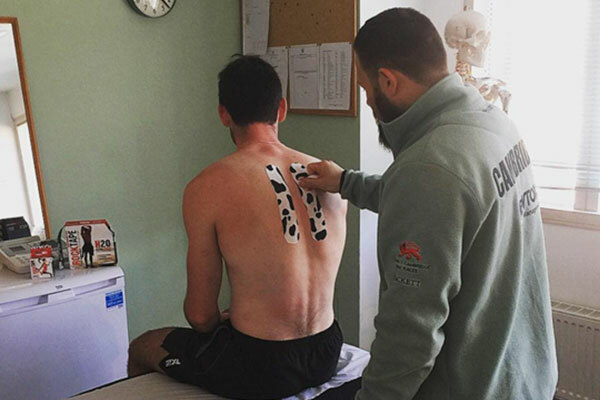 In general there are several benefits for the application of kinesiology tape has but at the CUBC we focus mainly on two aspects when applying it on our Athletes. Rowing athletes go through rigorous volume of training on land and water. Continued micro tears in the muscle cause shortening and in many cases we see poor postural adaptations. This of course, might also depend on individual’s form when rowing and self management of soft tissue in terms of injury prevention. However, following an early morning session our rowers will focus on their studies until they return for the afternoon training. With this in mind, the likelihood of bad posture such as ‘forward head’ whilst writing thesis or doing their reading, computer and lab work is fairly high. Often we simply apply the tape to promote retraction of the neck in athletes that; already have kyphotic posture, are currently undergoing thorax or neck physical therapy, need to work on their posture and muscular activation in the boat. The benefits of taping male patients have been previously investigated by Yoo (2013), showing significant improvement in improving posture. Two researchers, Hosea and Hannafin (2012) conducted a meta analysis study on rowing injuries which indicted that 23%of all injuries are upper extremity and rib cage, whilst, 22% were related to lower back injuries. With this in mind, at CUBC we see predominantly lower back, mid back, shoulder and wrist injuries. If detected early enough we are dealing predominantly with soft tissue injuries as most are due to overuse or mechanical loading. That is why taping becomes handy. With the application of the tape to the injured musculosceletal structure there is evidence that the tape alters the pain level by stimulating mechanorecaptor (large sensory nerve receptor responsible for pressure, fine touch, vibration, joint position) and therefore suppressing the nociceptive pain input (smaller sensory receptor responsible for tissue damage and changes in temperature) (Montalvo & Mayer, 2014). In this case with slight alternation to the volume and intensity of training we can keep our rowers in the boat. 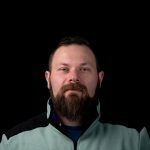 Furthermore, athletes with joint injuries will have their tape applied to improve joint mechanics as well as offloading damage tissue and assist in physical therapy. Using Rocktape is crucial for any athlete, even more important to an elite rower committed to full time studies! Special thanks to Gosia Bieniek, Strength & Conditioning Coach @ Light Blue Clinic (specialising in junior and lightweight rowing). – Effect of the Neck Retraction Taping (NRT) on Forward Head Posture and the Upper Trapezius Muscle during Computer Work. J Phys Ther Sci. 2013;25(5):581-2. – Hosea TM, Hannafin JA. Rowing injuries. Sports Health. 2012;4(3):236-45. – Effect of Kinesiology Taping on Pain in Individuals With Musculoskeletal Injuries: Systematic Review and Meta-Analysis. The Physician and sportsmedicine. 2014. 42(2):48-57.